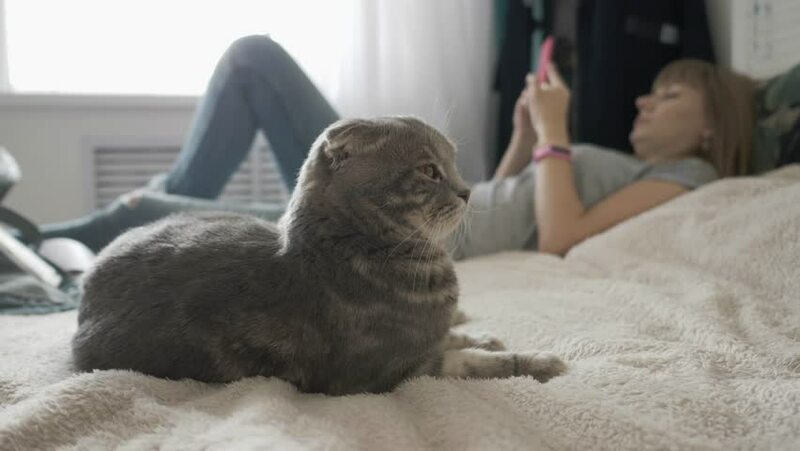 Gorgeous curious scottish fold grey tabby cat enjoying napping on bed in cozy apartments while his owner young blonde woman lying near using smartphone. 4k00:29Gorgeous curious scottish fold grey tabby cat enjoying napping on bed in cozy apartments. 4k00:19Cute English Staffordshire Bull terrier dog is intensely enjoying the petting of her owner on the couch.